This lovely wildflower, with its angular stems, is found mainly in marsh, fen and boggy land. Other than the unusual stem structure another good guide to its identification is the sparse, grey-green narrow and pointed leaves. This plant spreads mainly via stolons. Its basal leaves are 1- to 2-pinnate and have oval lobed, untoothed leaflets. 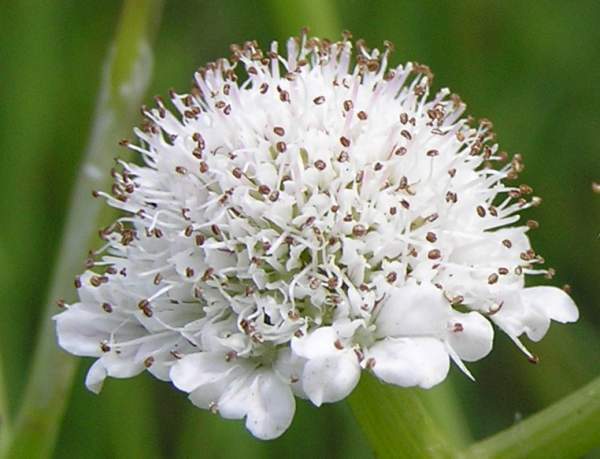 Flowers of Tubular Water-dropwort are white or pale pink, typically 3mm across and borne in small umbels with the outer flowers having 2 to 4thickened rays. 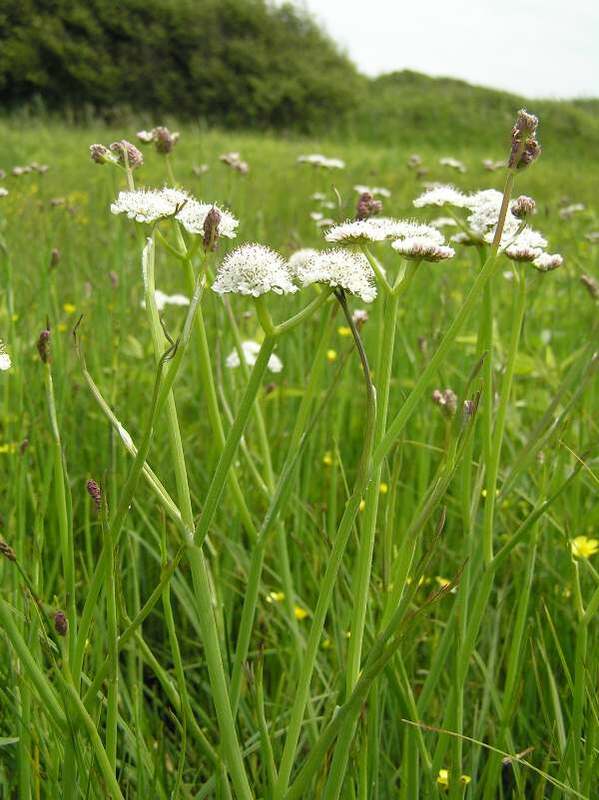 Tubular Water-dropwort favours lime-rich permanently wet soil and is not very common. It is also difficult to spot as, from a distance, it resembles several other grassland species - for example Field Scabious. Fairly common in central and southern Britain and Ireland, the range of Oenanthe fistulosa is largely limited to central and southern Europe, parts of North Africa, and western Asia to as far east as Iran. 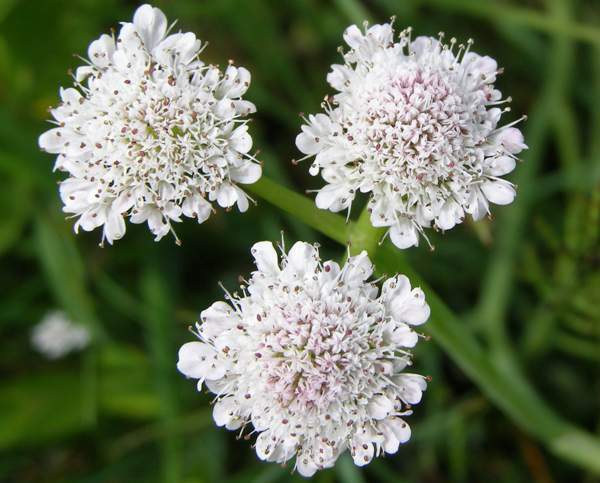 The generic name Oenanthe, from the Greek word meaning wine flower, refers to the smell given off by the plants if the stems are crushed - they smell like wine. The specific epithet fistulosa means tube-like - a reference to the hollow stems of this umbellifer. These photographs were taken in Wales at Kenfig Pool at Kenfig National Nature Reserve in July.